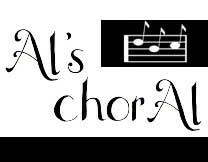 Al’s ChorAl is holding its third annual concert in memory of Rabbi Albert Lewis on Wednesday, April 22 at 7 p.m. at Christ Our Light Church in Cherry Hill. Al’s ChorAl is designed for the senior members of the community from a broad range of faiths and beliefs. The choir will blend voices with anyone who has the desire and passion to sing. Al’s chorAl repertoire runs the gamut of musical genres. The groups is primarily a weekly singing group not solely performance based. It is their mission to provide transportation to and from rehearsal for those who require assistance. The choir is non-profit and does not charge any membership fees. Al’s chorAl is led by Julia Zavadsky, a professional musical director. Tickets to the concert are $10 at the door. For more information, call (856) 244–1257, email info@alschoral.org or visit www.alschoral.org.